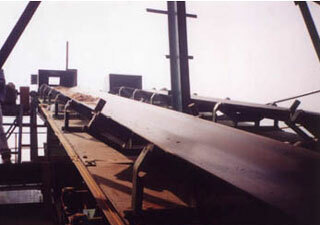 Belt conveyor have the advantage of simplicity of construction , high efficiency and minimum downtime. Holtzman can supply horizontal , inclined and declined conveyors or a combination of the above. Holtzman supplies directly to the end user or to the main EPC contractor. We believe the quality of a conveyor is only as good as that of its component parts. We assure excellence in design , manufacturing and installation of our conveyor system. Belt conveyors are used extensively in Ports , Thermal Power Plants , Mines , Steel , Cement, Fertilizer and allied industries.